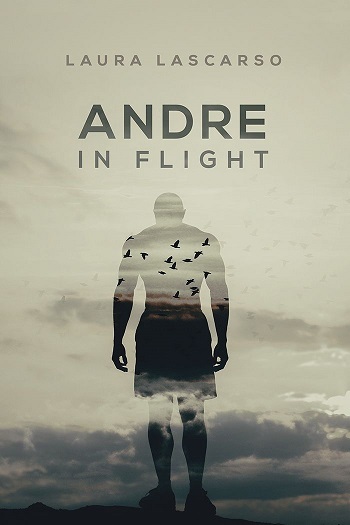 To be totally honest, I'm not entirely sure how to review Andre in Flight – so bear with me, please. Laura Lascarso is a new-to-me author, and I was more than surprised at the levels of emotion woven into the story. The main reason I'm finding difficulty reviewing is simply because I don't wish to give anything away. The best thing an author can do for me is surprise me – being a writer myself, I can usually see the path the author is taking, along with the Band-Aids covering plot holes. I usually have to read a book rather quickly so I don't stumble and begin editing or plotting. It's a rarity when I can just read and find enjoyment along the way, instead of the tedium as if I'm working. Lascarso surprised me because I didn't know where she was going with this, but I knew it wasn't an average romance novella with some heavy between-the-sheets action. There was something roiling beneath the surface, and I read feverishly to find out. On the surface, Andre in Flight looks like the usual waiter meets dish-washer trope – one an artist and the other an aspiring chef. Thrown in is the age difference, the adult and the runaway minor, giving off a taboo vibe. The artist and his muse, on a journey of stardom... but that is not what the book truly is. This is a fast-paced novella, for which I'm thankful. I believe if the book was any longer, it would have thrown the pacing off, then delved into fluff territory. I appreciate the ability to tell so much story in so few pages, without being beholden to word-count for the sake of word-count. For those who only enjoy longer books, know it was a fully fleshed-out concept from start to finish, with a beginning, middle, and end, leaving the reader to use their imagination by mulling over the emotions and reasons behind them without pages upon pages of redundant inner monologues. This is a thinker piece. If a reader looks deeper, there are many layers to Andre in Flight, with a twist in which I won't describe. I'll be thinking about this novella even as I'm reading other books. I look forward to reading what Laura Lascarso creates next. Reviewers on the Wicked Reads Review Team were provided a free copy of Andre in Flight by Laura Lascarso to read and review.